Winter decorating can be so creative! 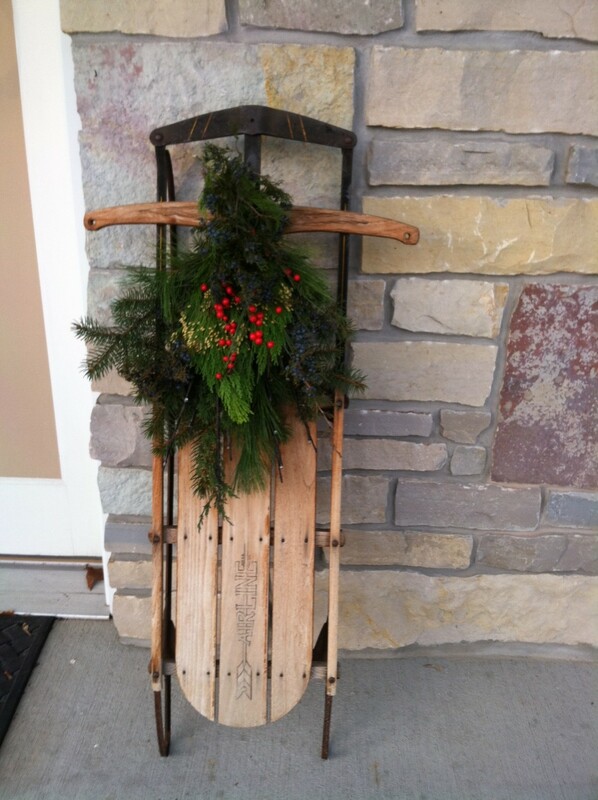 This is a old sled, on a front porch. The custom made swag will last until spring.